The special edition Bugaboo Fox Track Pram features a sporty colour palette and simple details for an understated casual look. 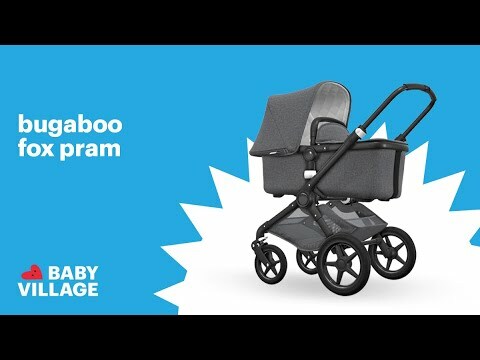 Bugaboo have used a light petrol outer fabric made with recycled PET bottles and the sun canopy comes complete with a peekaboo window so you can check in with your little one while you stroll. On the lining, light grey melange jersey is combined with grey parallel line stitching to create a minimal look with a nod to athleisure style. Special details include the black leather-look handlebar and carry handle grips, complete with the collection’s signature parallel line stitching (for the Bugaboo Fox). For a sleek finish, the collection comes with a black under-seat basket and black shiny wheel caps. You can choose between an aluminum or black chassis.